For once, the notebooks you write in will be as inspiring as the thoughts inside! 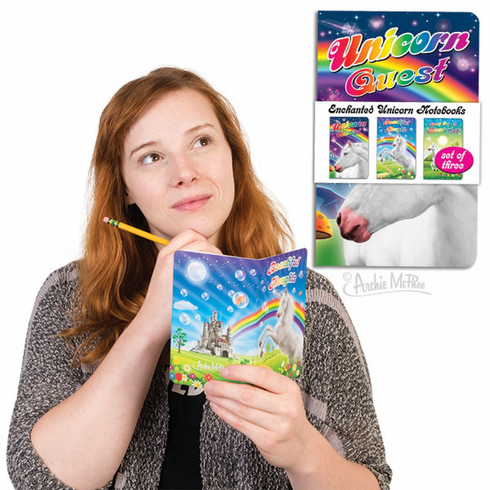 This set of three 48-page, 5-1/2" x 3-1/2" (14 cm x 8.9 cm) notebooks is decorated with colorful unicorns and labeled Unicorn Quest, Beautiful Thoughts and Every Day Is Awesome . Includes the Unicorn Code of Conduct! Ruled paper. Set of three attached with paper band and bagged. ISBN.